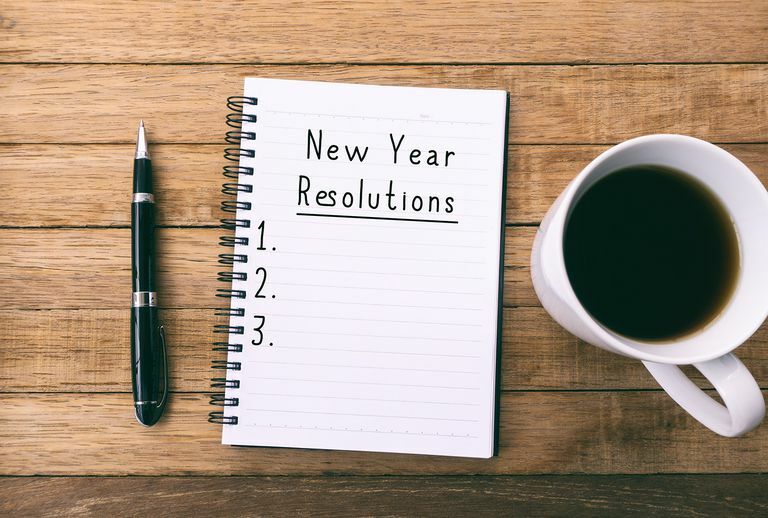 Whether you have small, short-term goals or big dreams for your future, the key to achieving them is in regularly reviewing your resolutions so they don't get forgotten (sadly, less than half of people who make New Year Resolutions actually fulfill them). The sites and apps below can increase your odds of success by reminding you of your goals, helping you track them more easily, and providing motivational support. Joe's Goals is a free daily goal or habit tracking web tool with a simple and pleasant interface. You can create multiple goals and check off each day you accomplish them. A daily score helps you stay motivated, and you can also share your progress with others. Ease of use and simplicity are this tool's key strengths. Best for: keeping track of short-term objectives -- things you need or want to do every day or week, such as exercising or writing your daily blog. GoalsOnTrack is a robust goal tracking, task management, and time management service positioned as a tool for SMART goal setting. Unlike the simpler tools above, GoalsOnTrack lets you add a lot of details about your goals, including categories, deadlines, and motivational photos that can be played in a slideshow to help you "subconsciously find ways to achieve your goals." GoalsOnTrack has an integrated calendar and journal for creating an action plan, as well as an offline planner for printing. Membership is $68 per year, and although the site is designed a bit like a Web infomercial, GoalsOnTrack is BBB accredited and offers a 60-day money back guarantee. Best for: anyone looking for a full-featured goal planning/achievement system. Lifetick is like a personal trainer, except for your personal or professional goal achievement. The site provides email reminders, progress charting, and journal tools to help you set and accomplish SMART goals. An additional selling point is Lifetick's accessibility from smartphones, with a mobile Web version for iPhone, Android, and Palm users. The free version, good for trying out the service, supports up to 4 goals, while the paid ($20/year) version allows unlimited goals, the journal tools, and live stats widgets. Best for: using the SMART methodology of goal setting and accessing your goals from a mobile device. Don't Break the Chain is a simple calendar designed with the Jerry Seinfeld motivation technique in mind. As explained on Lifehacker, Seinfeld's productivity secret was to use a giant calendar and mark off each day he completed his writing task; the growing chain of red X's encouraged him to maintain his desired habits. Don't Break the Chain! has the simplest of interfaces and can be integrated with iGoogle and Google Chrome. Best for: staying motivated to complete a single goal in the quickest, most visual way possible. If you're the kind of person who really needs more motivation, stickK may be the Web tool for you. The site gives you ​the option to commit money to the goal -- if you don't achieve it, stickK will send your money to a friend, charity, or an organization you don't like (as a further incentive to make sure you achieve your goal). stickK says that your chances of success when you put actual money on the line increase up to 3X. Best for: people who need extra incentive to really accomplish critical goals. One of the best to-do list apps available today, ToodleDo allows you to set multiple goals and associate your tasks with those goals. This is integration is convenient because you can create an action plan or at least a set of tasks that will help you achieve your goal. Both web version and mobile apps are available. Best for: having tasks and goals tracked in one place.